Finding the right car at the right price, is often a challenge. Finding the right dealer to do business with, well that too can be a challenge. At Opelika Ford and Opelika Chrysler Dodge Jeep RAM in Opelika, AL, customer satisfaction is our top priority. Our knowledgeable sales and service teams raise the customer care bar to the highest level. 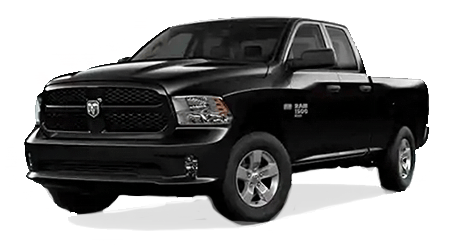 If you have never purchased or had your car serviced here at Opelika Ford and Opelika Chrysler Dodge Jeep RAM, allow us the opportunity to earn your business. We found a large selection of vehicles to choose from! I would recommend this dealership to any of friends and family. We love our 2012 F150 we got from opelika ford and most importantly we are VERY satisfied with the service after the sale. Big thanks to Earl Hudson the General manager for having the open door for their customers. Will recommend to others. Very happy with our sales rep Seth Clayton. This is our third ford van. We currently own a E350 and a E250. Very disappointed the E series are not being made anymore, so we bought the 2015 connect wagon today for my husband's work van. Thanks Seth. My even more awesomely awesome car! A 2011 Chevy Cruze Eco Turbo!! Thanks Emma Lea MacKenzie for helping me pick this out and I couldn't have done it without the outstanding service I got from Opelika Ford Dodge Jeep Ram! After we bought the Dodge Dart and brought it home that night we had seen those cars do not come with AC like not that it was broke but it actually was not put in the car! So we went back up there Monday and explained to Keith and Mike about the car not having AC and boy did they have some stuff to say about a car with no AC they even thought the car had AC themselves so they let us pick another car with no problems and just an all around great experience! Thank you! I just wanna say a HUGE thank you to Rhett and his manager Mark! I've been looking for a vehicle for awhile and Rhett has done what he can for a week!!! He called me with exactly what I wanted and then both Mark and Rhett went ABOVE AND BEYOND to get me in it! And finally at at 1am, after 2 hours worth or driving they got me my truck! THANK BOTH OF YOU! The two of you will ALWAYS have my business!!! !